Kmye was born in April 1985 in France, and has been attracted to drawing, painting and all sorts of crafts since a very young age. She started displaying her artwork on the internet for fun in her late teens while pursuing her biology studies. These days she works as a scientist by day, but come night Dr Camille transforms into Ms Kmye in pursuit of mischief in general and art in particular. She has been working as an artist and freelance illustrator as time permits since 2008, and her work has been exhibited in group and solo shows across Europe and the US. She currently resides in Paris, France. 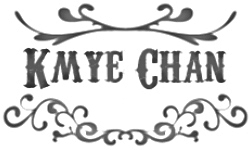 Kmye is a proud member of the Changeling Artist Collective.